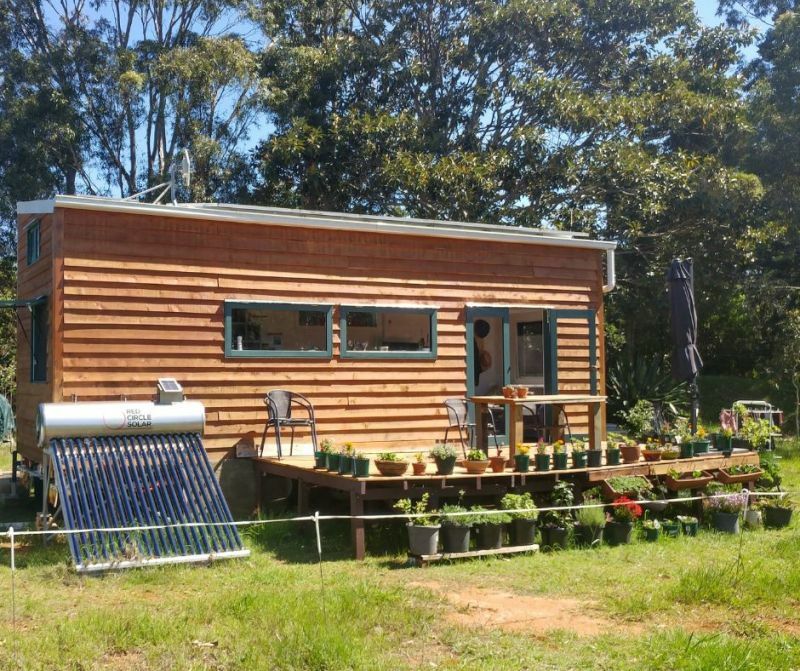 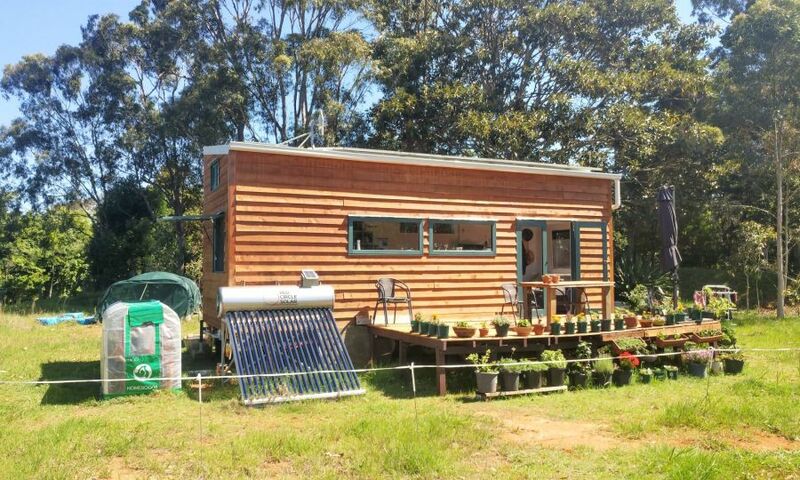 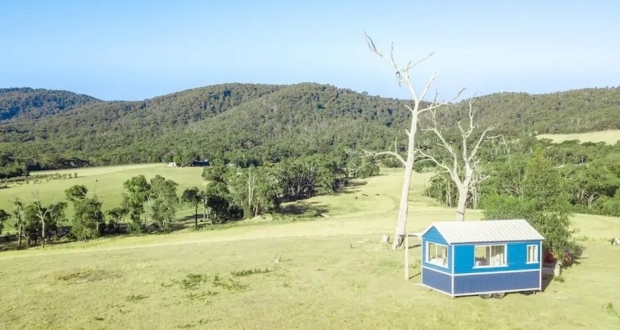 Annett Welss and Paul O’Connor from Australia are a true inspiration for all those who dream to live a sustainable life in a tiny house on wheels. 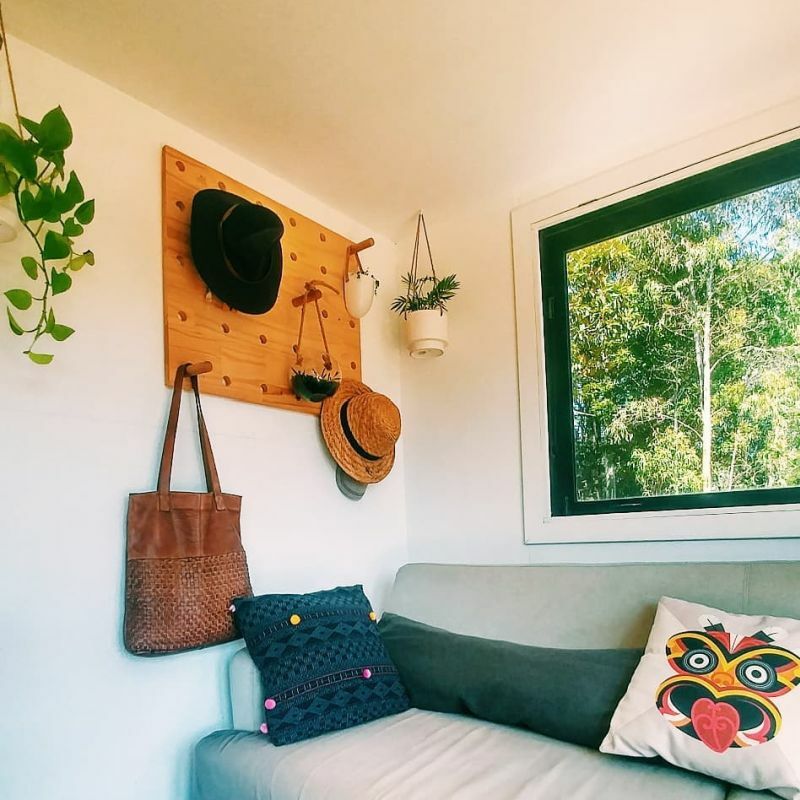 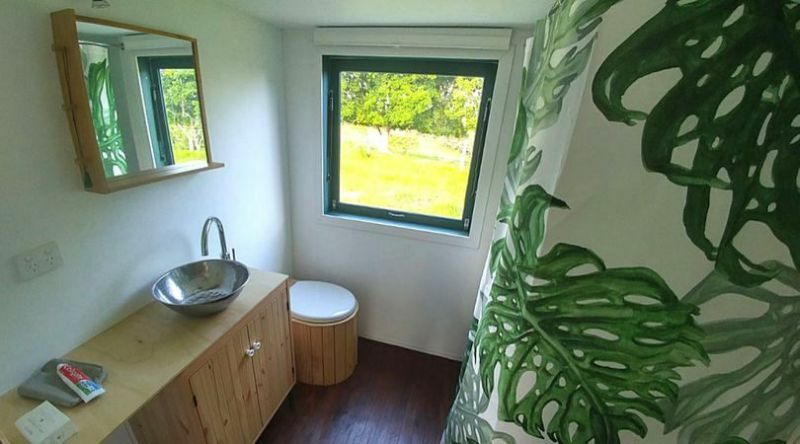 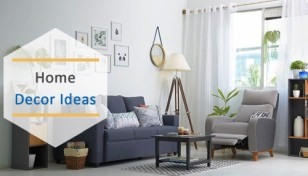 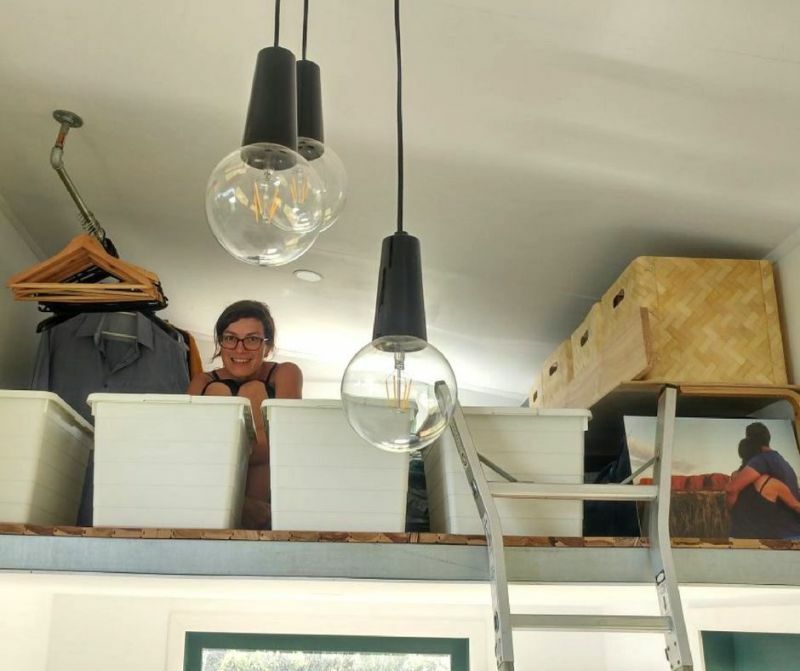 There are many young people taking a big leap to tiny living these days, but this couple leaves a totally different impression by willingly utilizing renewable sources for powering the tiny house (something most tiny homes are still compromising with). 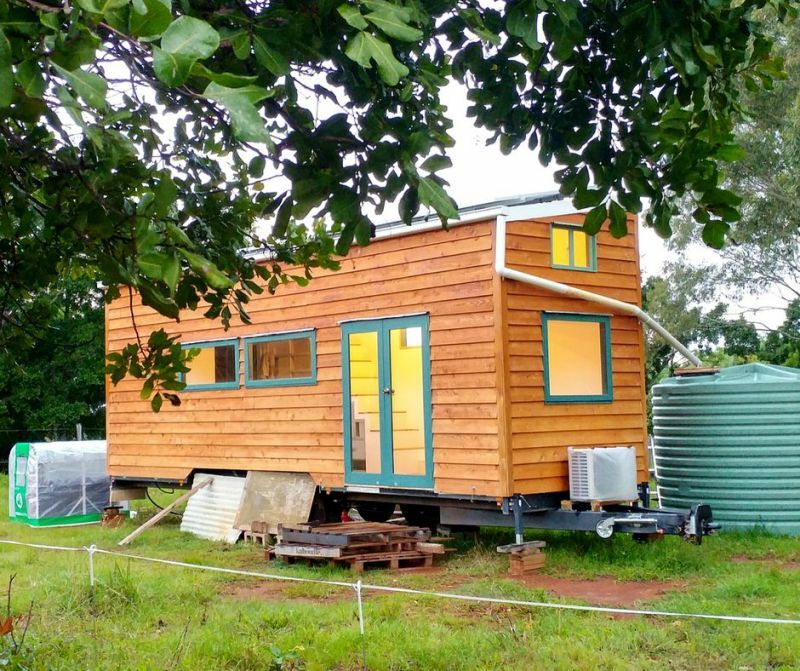 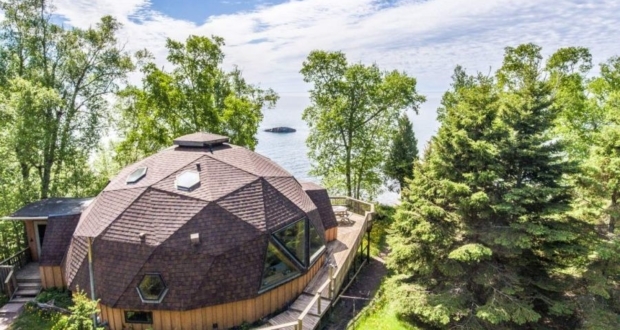 The couple conceptualized the idea in 2016 and completed the tiny house for £36,000 ($A65,000). 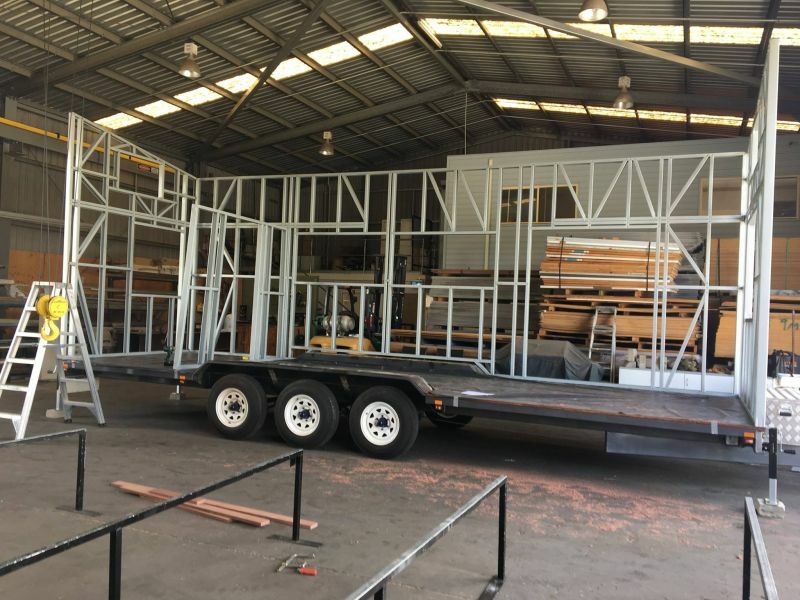 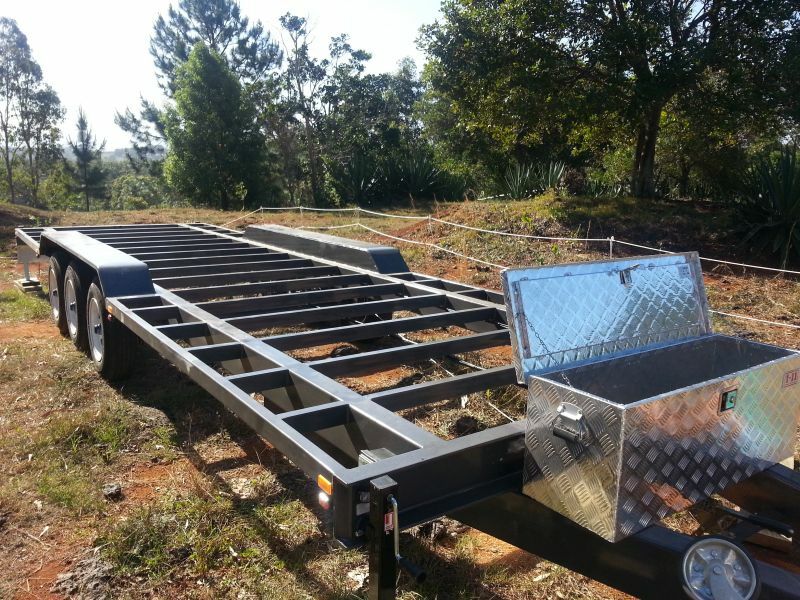 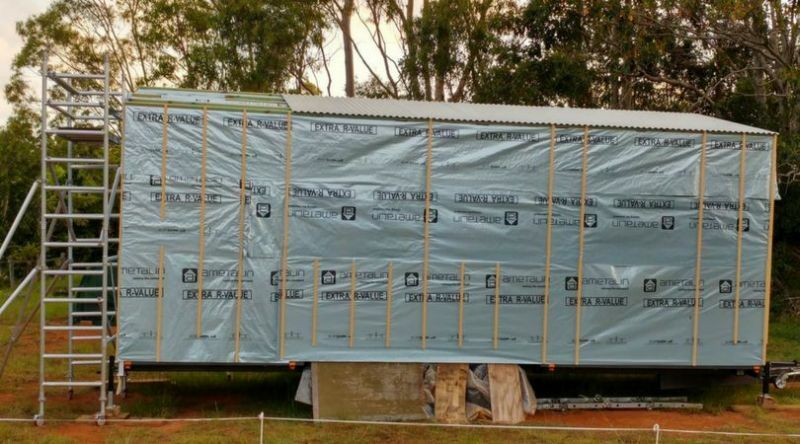 Sitting on a 9.6m long and 2.4m wide trailer, it uses a steel frame weighing 500kg and Silversark building wrap for its main structure. 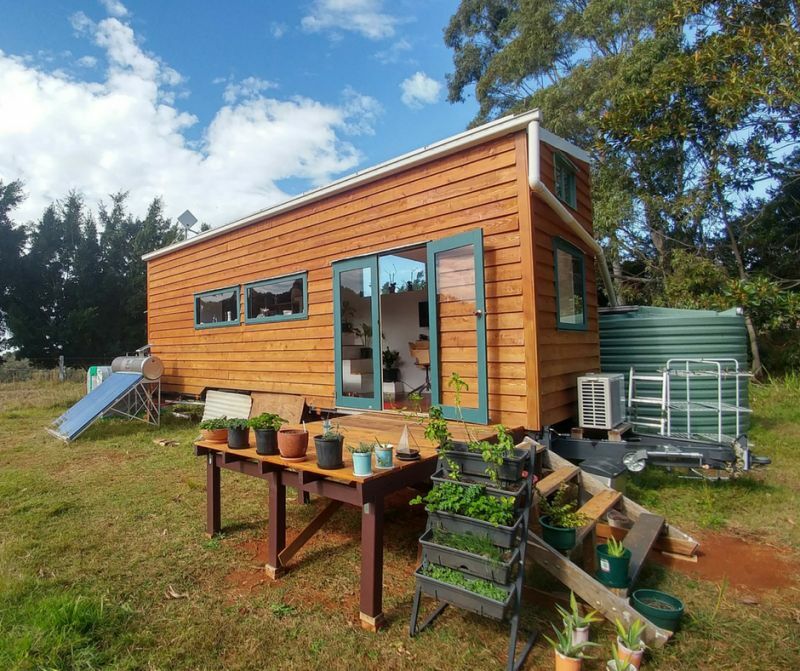 Externally the mini house is clad in cedar wood while a slightly tilted corrugated metal roof adds charm to the exterior. 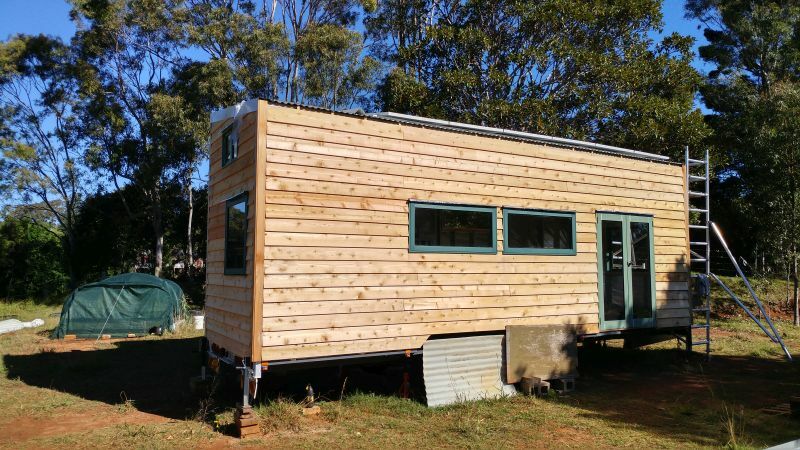 The self-made French door and double-glazed windows are also a worthy addition to the tiny house design. 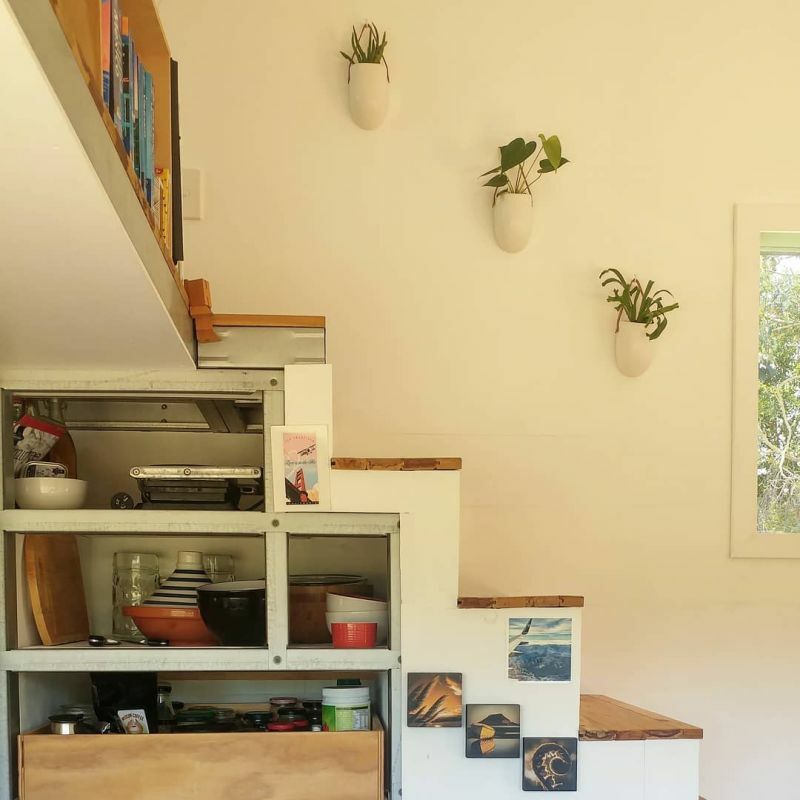 On the inside, white walls and ceiling make a contrasting combination with wooden flooring and built-in shelves. 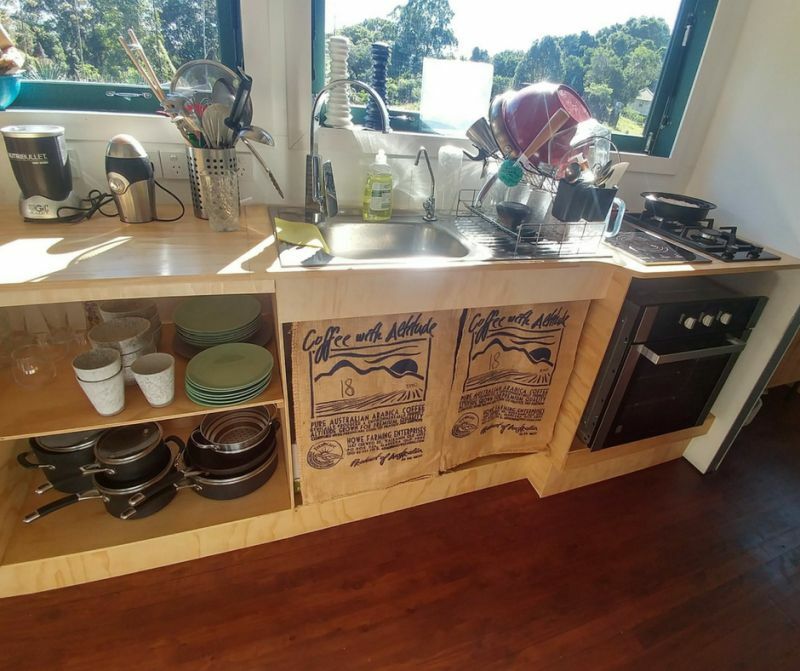 The tiny house has a living room, kitchen, bathroom, work nook, loft bedroom, and enough storage space to meet the needs of the residents. 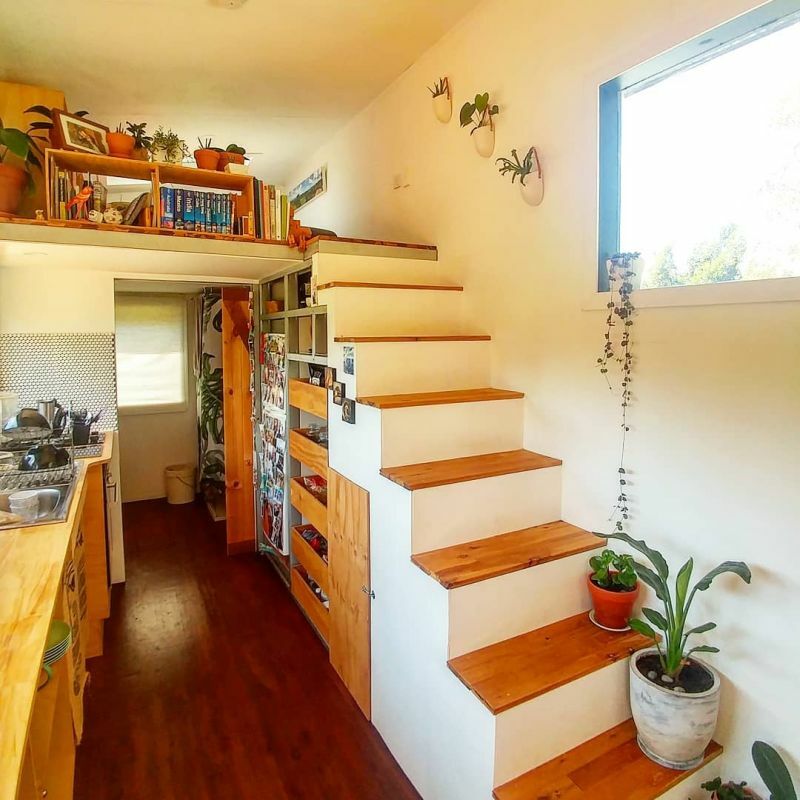 There’s also an outdoor deck housing a DIY outdoor table, chairs, and colorful planters. 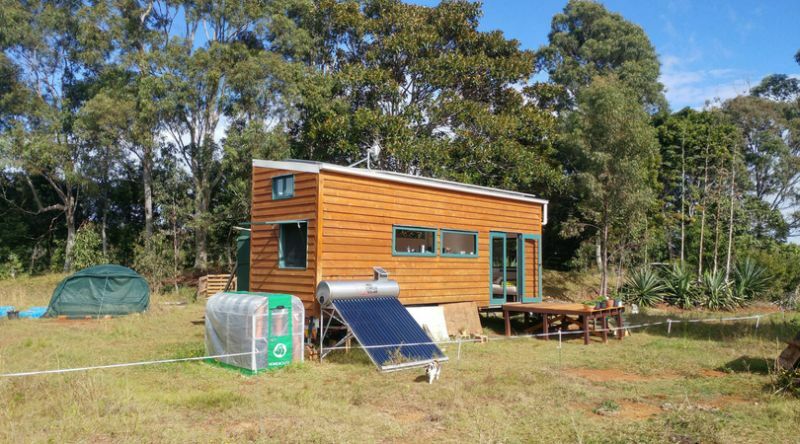 To make the tiny house self-sufficient the couple has installed six rooftop solar panels with a battery bank. 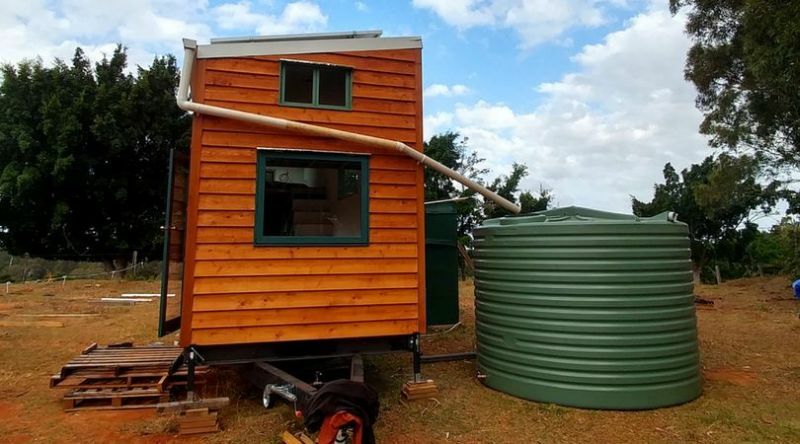 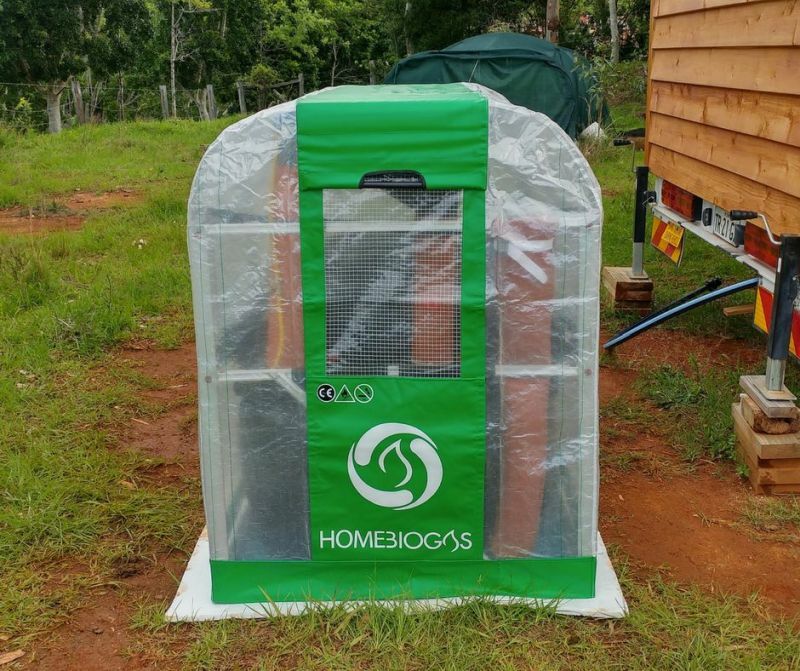 They’ve also added a biogas digester, solar hot water heater, rainwater harvesting system and a permaculture garden to get their footprint down to a minimum. 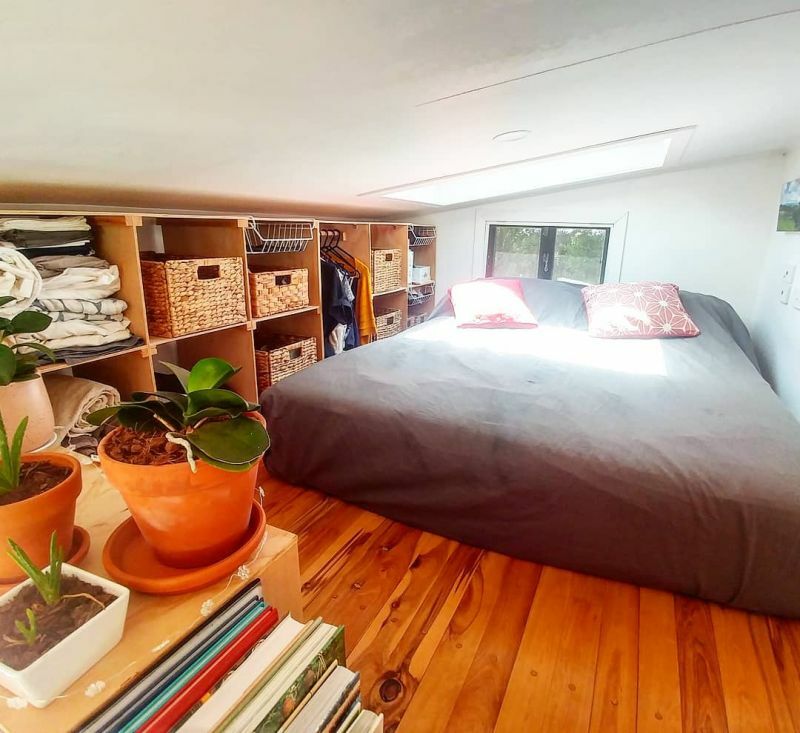 The most interesting thing to notice is that the couple keeps adding DIY solutions to their tiny house. 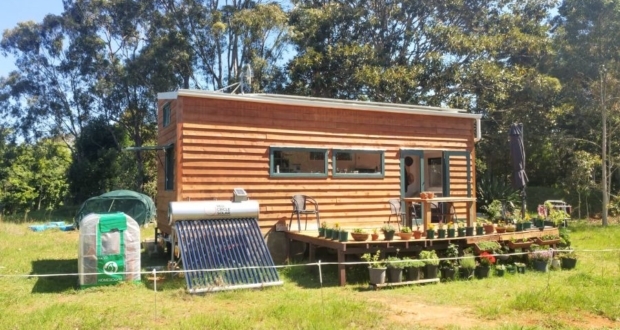 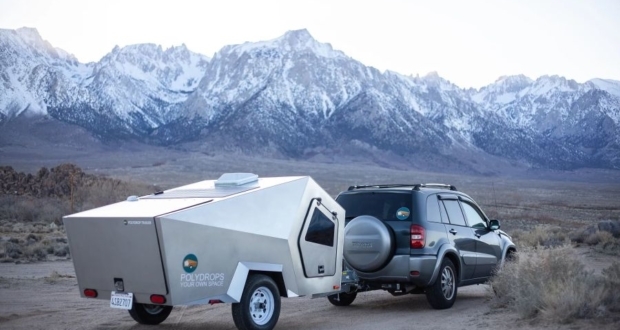 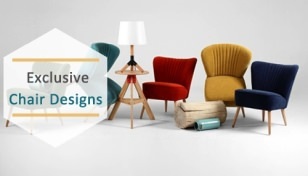 They have efficiently contributed their time and efforts in building a sustainable, self-sufficient tiny house on wheels, which lets them pursue a green, minimalist and green lifestyle. 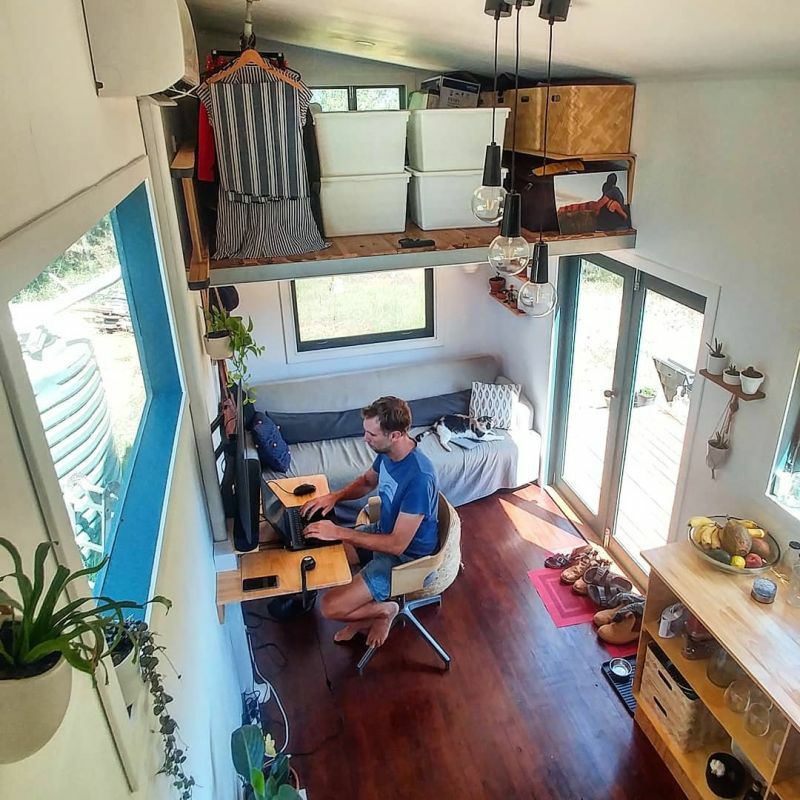 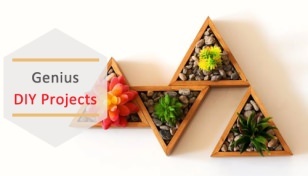 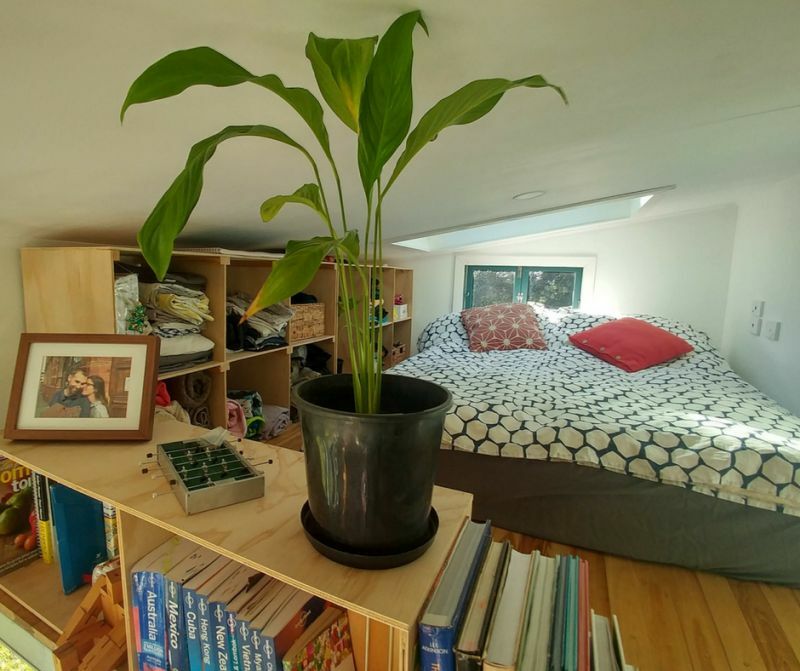 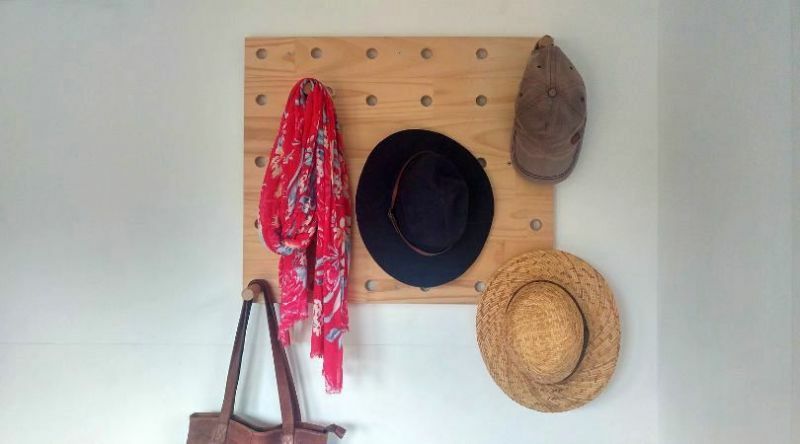 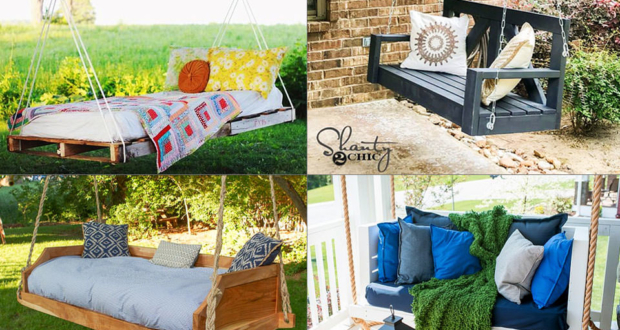 Check details about the structure and its making at the couple’s blog called the Living Tiny and Green.